Sadako Sasaki's wish was"I will write peace on your wings and you will fly all over the world". Some children's wishes that are on the tree. Do you have a wish for the world? Give your wish wings and help decorate the Rainbow World Fund World Tree of Hope ®. 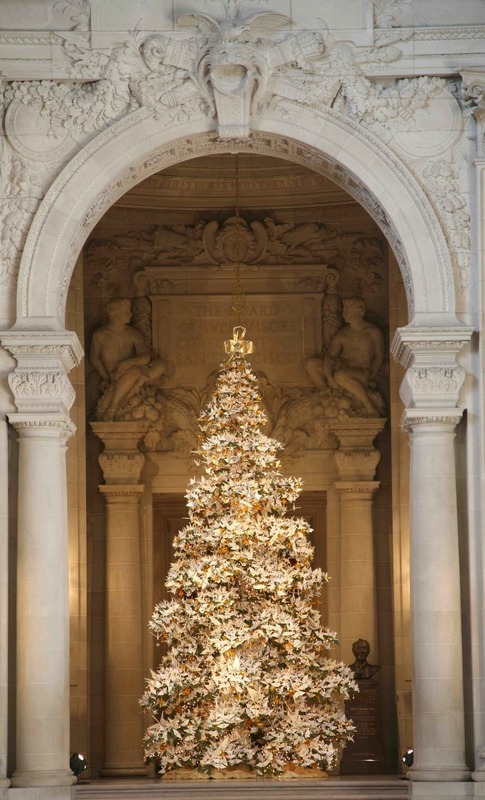 This December, thousands of origami cranes inscribed with wishes for the future of the world will decorate the 13th annual Rainbow World Fund (RWF) World Tree of Hope at Grace Cathedral in San Francisco, CA. Wishes from world leaders to school children, from San Francisco to Sir Lanka, make the RWF World Tree of Hope a powerful expression of people coming together to create a better world. Be part of this unique symbol of global unity! Send us your wish, we'll turn it into an origami crane and put it on the RWF World Tree of Hope. Sending a wish is FREE, and open to all - just click on the button! A video invitation to hope. 1 minute time lapse of the RWF World Tree of Hope being decorated.